Aluminum smelters are faced with the problem of maximizing efficiency and potline up time, despite wear and tear on various components of their smelting equipment. Although anode jacks have a typical life of 10 to 30 years, many smelters were originally constructed in the 1950s through the 1970s. As existing anode jacks at these facilities increase in age, so do instances of jack failure. An increasing number of smelters are now turning to Joyce/Dayton for assistance in solving this problem. Anode jacks must be able to withstand extreme environmental factors, such as high ambient temperatures in excess of 200 degrees and the close proximity of abrasive materials that could contaminate the jacking mechanism. Practically all anode jacks must be custom designed to conform to specific smelting pot specifications and operating conditions, such as length of travel and lifting capacities. Since it is impractical to change other characteristics and dimensions of the pot, any replacement jack must exactly fit the dimensions of the unit being replaced. Replacement products must have the capability of being installed quickly, since shutting down the smelting pot carries a high opportunity cost. To minimize labor maintenance costs, many smelters prefer to replace worn out or broken jacks with new units, if costs of the new unit permit. Some smelters have requirements for complete anode lifting systems, including shafting, motors, gear boxes and electronic controls. Depending on overall pot design, either two or four jacks position a beam to which anodes are attached in an electrolyte bath. The bath contains the raw materials to be smelted and various chemicals needed in the process. Highly specialized electronic controls, designed by smelting system specialists, permit precise positioning of the anodes in the electrolyte bath. The anode beam will be raised or lowered as directed by the control system. Positioning requirements may vary to the thousandth of an inch. The process is continuous, 24 hours a day, seven days per week. Cost – Joyce anode jacks may be purchased for less than the collective cost of spare parts from the OEM or will-fit manufacturer. Custom Design – Joyce will design the anode jack to specifically meet customer specifications. Availability – Once the initial quantity has been manufactured, Joyce offers optional stocking programs to make units available when they are needed. Service & Support – Joyce application engineers are available to propose solutions to the unique problems faced by different smelting facilities. 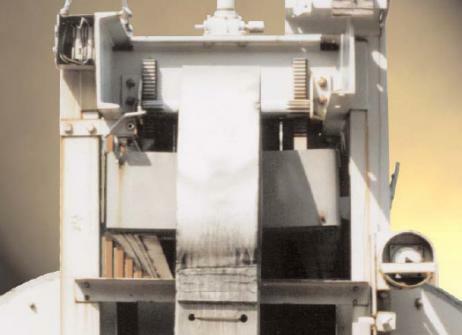 Since 1873, the Joyce/Dayton Corp., with headquarters based in Dayton, Ohio, has been one of the premier manufacturers of rugged, heavy-duty mechanical and hydraulic lifting and positioning equipment. From leveling log homes and ship dry-dock transfers to stage and ergonomic lifts, Joyce/Dayton has handled the toughest applications imaginable. With unmatched engineering and technical expertise, Joyce can provide custom solutions in a time-and price-sensitive manner, turning ideas into working solutions. For more information, contact Joyce/Dayton.